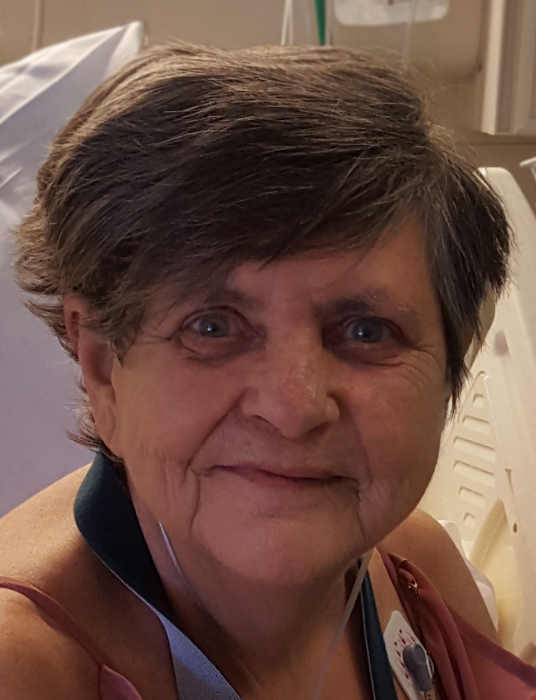 Obituary for Linda D. (Yingling) Robertson | Sorge Funeral Home Inc.
Linda D. (Yingling) Robertson, 67, of Hollidaysburg, passed away Thursday at Maybrook Hills. She was born in Altoona, daughter of the late Clair and Dorothy (Mosel) Yingling. She married Charles Robertson in 1984, he preceded her in death in 1995. Surviving are: a daughter, Robbin L. Snively (Joseph) of Williamsburg; a son, Robert P. Duval (Robin) of NC; four grandchildren: Corey, Jayse, Cameron, and Adam. Also surviving are two brothers: David of Hollidaysburg and Dennis of SC, and her long-time companion, Eugene Lindsey. She was preceded in death by a sister, Joyce, and a brother, Dean. She was a Nurse’s Aide at the Lutheran Home for 13 years and she loved her family. Friends will be received from 5:00 to 7:00 pm Monday, August 6, 2018, at Sorge Funeral Home Inc., Hollidaysburg, where a funeral service will be held at 10:00 am Tuesday. Interment at Presbyterian Cemetery.